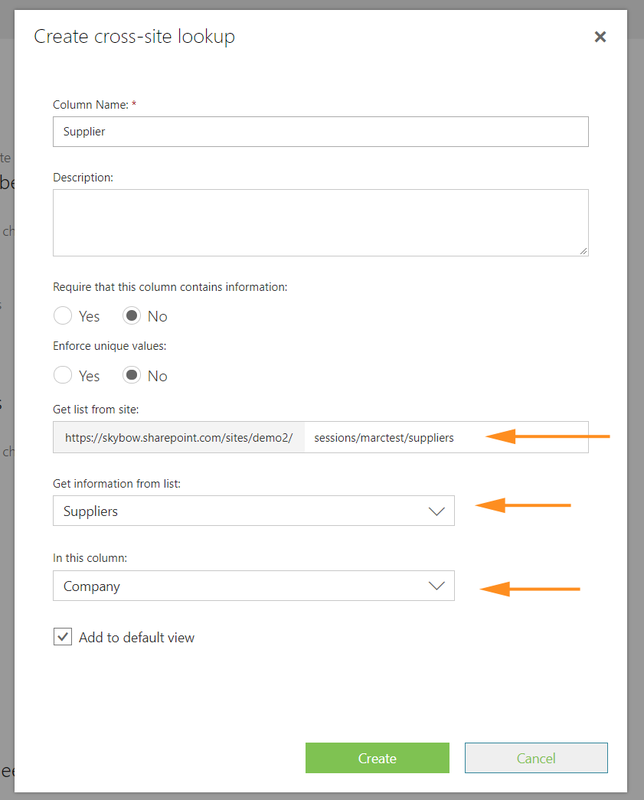 Advent Calendar Door 16: Cross-site lookup columns in SharePoint Online. 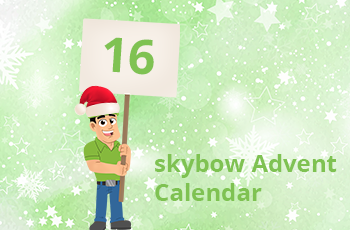 In today’s skybow Advent Calendar cookie, we are solving one of the most required features in SharePoint: Cross-site lookup columns in SharePoint Online! 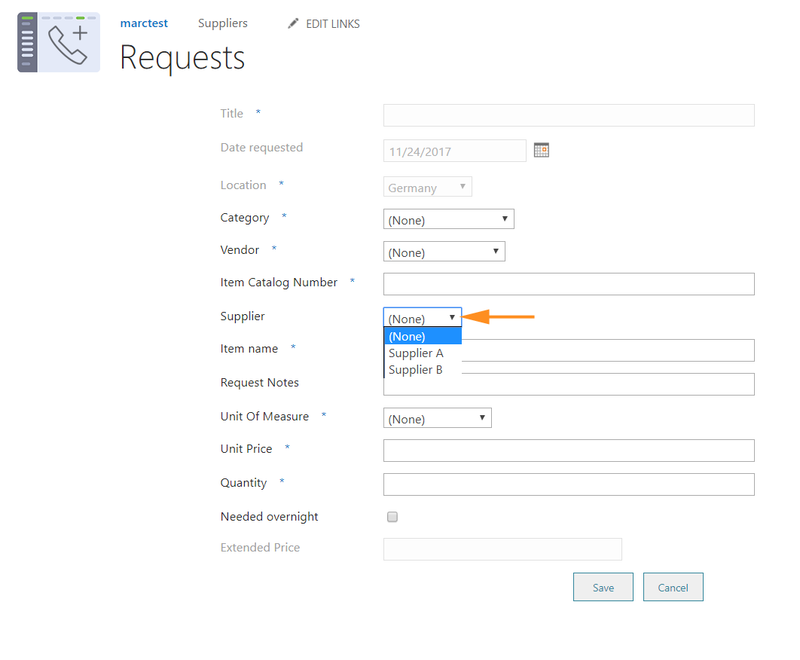 The use scenarios of cross-site lookup fields are various – from connecting data sources spread across different site, to structuring your business process in multiple subsites. All those use cases are valid, and – not supported by SharePoint out-of-the-box features. Still, this is very easy to achieve with skybow Solution Studio. You need to switch to the “Things in background” section of the list where you want to add a cross-site lookup field, and to click the “Add cross-site lookup” link on the bottom of the screen. In cross-site lookup creation dialog, you will have to enter the column name and description, path to the site where target list is stored (it needs to be inside the same site collection! 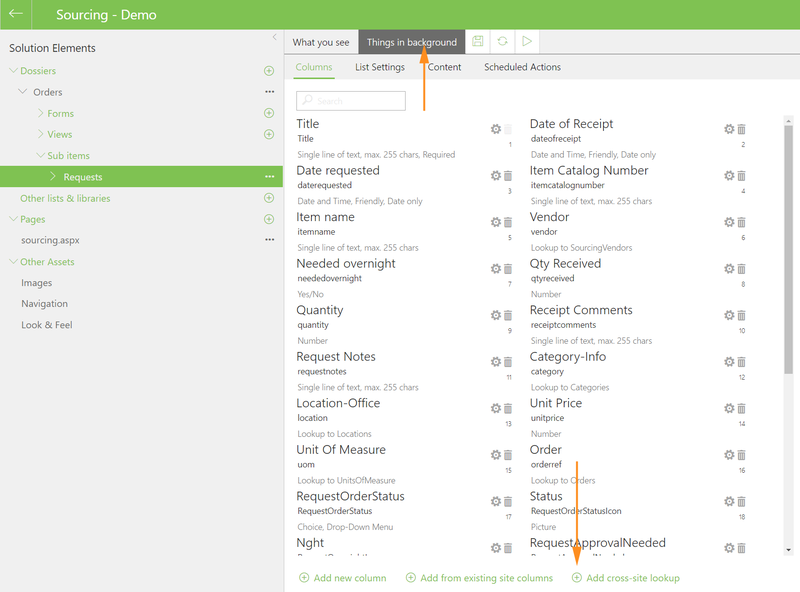 ), and then select a list and a column from that list. And that is that. After clicking on the „Create“ button, the new field will appear in the fields list just as any other field, where you can set its properties, and even perform background calculations. When you run a new or edit form with that field, it will behave just as any other lookup field in your list. And there it is, in less than 30 seconds, we have created a fully functional cross site lookup, by using skybow Solution Studio.